I am not a planner. My best ideas usually come to me only after I actually begin a task. That’s the way it has always been and it usually works for me, whether I am working, writing a blog post, or …baking bread. My sandwich bread recipe, which is part whole-wheat, has been one of my go-to bread recipes for months now. It takes less than 15 minutes to put together the dough and once that’s done all I have to do is nurse it through two rises and bake it into two fabulous loaves we can eat all week long. 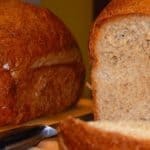 I’ve often thought of converting the recipe to an all-wheat, high-protein bread richer in dietary fiber, but while I’ve baked enough wholegrain breads in the past, I have never been satisfied with the texture of an all-wheat sandwich bread which, in my book, needs to be at the same time soft and chewy and light and airy but firm enough to hold whatever you want to slather and smear on it. This past Sunday, as I started mixing up the water and the yeast to make my usual loaves, my lazy brain cells blinked out of hibernation for just a minute to suggest: what if…? I ran with the thought and ended up with this fabulous, whole wheat high protein sandwich bread. My original sandwich bread recipe calls for two cups of whole-wheat flour and two cups of all-purpose. For this whole-wheat recipe I replaced the two cups of all-purpose with one cup whole-wheat flour and one cup of vital wheat gluten flour. This immediately punched up both the fiber and protein content, because vital wheat gluten flour is almost 75 percent protein. For those unfamiliar with vital wheat gluten, this is a natural protein found in wheat and it is especially valuable in baking wholegrain breads because it helps them build structure– in simpler words, it helps them rise. I’ve explained the role of gluten in bread-baking and the gluten content of various kinds of flours in this old post on my Whole-wheat French Bread. 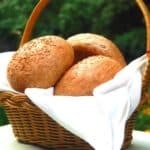 But to do a quick recap, here’s the reason whole wheat bread doesn’t rise as well as a bread made with all-purpose flour or bread flour: gluten occurs in the grain’s endosperm and all-purpose and bread flours are made by milling the endosperm which automatically gives them a high gluten content. Whole-wheat flour contains not just the endosperm but also the wheat germ and bran which are the outer coatings of the wheat kernel and are devoid of gluten. Since ounce for ounce whole-wheat flour has less milled endosperm in it than more refined flours do, it has a lower gluten content. Simple enough? I know some of my readers who are outside the United States don’t easily find wheat gluten flour where they live: I’d advise, in that case, to just continue using half whole-wheat and half all-purpose or bread flour to get a really delicious loaf. The recipe’s next, but keep reading after for some food for thought. Especially if you think zoos are magical places where animals prance around in artificial meadows and snow all day and eat lots of free food. A high protein whole wheat sandwich bread that's light and airy and toasts perfectly. 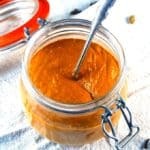 Mix the yeast and the warm water in a large bowl or in the bowl of a stand mixer. In another bowl, mix the warm soymilk, water, oil, maple syrup, and salt. Add the soymilk mixture to the yeast. Then add 1 cup vital wheat gluten flour and mix on low speed or by hand. Add 1 to 1 1/2 cups of the whole wheat flour and continue to knead, adding a more flour if needed, 2 tbsp at a time, until the dough is no longer sticky. Continue kneading for another 10 minutes. You should have a really smooth, supple dough. Grease and flour two standard (6-cup) loaf pans. Now punch the dough down again and divide it into half. Shape each half into an oval, tucking the seams underneath. Place each oval into a loaf pan, cover loosely with oiled plastic wrap, and set it aside to rise for about 90 minutes until the dough rises above the pan, forming a nice dome. 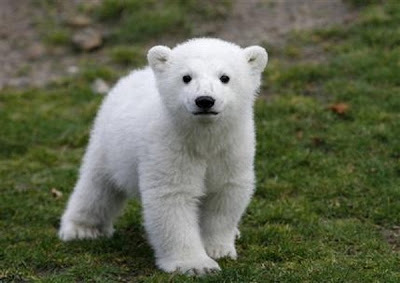 If you love animals, you’re probably outraged too about the sudden death of Knut, the world’s most famous polar bear. If you hadn’t heard, he died unexpectedly on March 19 in his enclosure at the Berlin Zoo. Knut, born at the zoo four years ago, became world-famous when his mother rejected him and the whole world, it seemed, rallied to keep him alive. While I am not one of those people you will find oohing over a zoocam of a newborn animal– I don’t think there’s anything cute about innocent animals deprived of freedom from birth — I remember falling in love with Knut instantly when Desi first sent me a picture of this impossibly cute, playful furball that you just wanted to pick up and cuddle. Knut was hand-reared by zookeepers. As he grew older and larger, the Berlin Zoo profited copiously from him: he was their main attraction over the next four years of his life and his story brought kids and families from around the world rushing to the zoo. It is believed that the zoo netted more than seven million euros from Knut through his short life. But for Knut himself, life was miserable. It is now believed that captivity induced immense stress in this majestic creature meant to roam wild in snowy landscapes and leap from one ice floe to another. Instead, he was living behind bars in a zoo and getting gawked at by throngs of clueless crowds day after day. Whether or not you agree that Knut’s death was a result of his life in captivity, here’s something most of us would agree on: Freedom is the most basic need of every living creature. Those of us who live in the free world exercise our right to it every day with every choice we make. At this very moment the people of Libya are giving up their lives to demand their freedom from an evil dictator. To most of us, life without freedom is unfathomable and simply not worth living. Every animal deserves that basic right too. The world’s zoos are a place of unnatural terror where stately creatures like elephants, lions, tigers, bears, and even penguins and deer are forced to live lives that go against every natural law. And if you think they are treated royally at the zoos, think again. In my hometown of Washington D.C., home to the National Zoo, animals have died suddenly and mysteriously on a regular basis and there have been accusations of mismanagement. And I cannot even begin to remember without shuddering the terrible conditions animals lived in in Bombay’s Byculla zoo. There are many efforts on worldwide by animal rights activists to close down zoos but that day unfortunately may not dawn in our lifetimes. But there is a way each one of us can make a difference: by simply not going to zoos. What’s there to see, other than gross cruelty and a pathetic display of man’s power over innocent, helpless animals? I would rather look at the National Geographic any day. This is probably a dumb question, but I’ve heard a lot of people talk about how bad zoos are for the animals living there. What about aquariums? Obviously the fish and other animals are restricted inside their tanks, but I don’t know how that affects them. Do you know if living conditions for the animals there are any better or different from zoos? I’d appreciate any insights you can give me on that one. Thanks! Radioactivevegan, no it’s not a dumb question, and aquariums are just as horrible as zoos. I don’t know of specific instances of mismanagement because I haven’t followed the issue very closely, but I do believe a fish would rather swim in a wide-open body of water rather than inside a tank, however big. Also horrible are circuses and places like Seaworld that trap animals and other creatures and train them to do stuff they were not meant to. let me first tell you that I distaste zoos, really and wholeheartedly. But to say Knut lived a miserable life … compared to animals raised for the slaughterhouse, I think, he lived a way better life. And because of his fame probably better than many other polar bears in zoos. Lookit the loaf! was the vital wheat gluten responsible for that awesome dome? Tooooo good! One more thought: I see what u mean by whales kept captive in sea world etc, but I sometimes do think of it this way, had it not been for sea world, here was little or no chance I (or my old parents / in laws) would have seen a whale or a dolphin, selfish much? Loaf looks absolutely wonderful and prefectly baked..
Torwen, yes, he probably lived better and longer than a hen raised in a factory farm, but that’s just a question of degree. In the end, a life in captivity is nowhere near as good as a life of freedom. Manasi, yes, the gluten is the hero here or else the bread would be dense and heavy instead of soft and spongy and light. I appreciate what you’re saying about SeaWorld, but is there any good reason we have to actually see a real dolphin or a whale? There are places in the world one can go and see these creatures in their natural habitats, but if one can’t, what’s so bad about just seeing them in pictures? There are millions of wondrous species and creatures in our world that most of us will never ever see, and there’s absolutely nothing wrong with that because there are other ways to satisfy our hunger for learning about them. The way I see it, curiosity is a great thing but we need to draw the line when it begins to encroach on other creatures’ freedoms. As for animals in small spaces..dont even get me started..
And as far as being able to see a real dolphin/whale, atleast here in the northwest there are dolphin and whale watching tours whenever the pods migrate. The boat tour cost to you, is similar to your seaworld ticket, but the cost to the animals .. very very different. And the dolphins do some fun tricks and jumps around the boats to show off! Now wouldnt you want to see a happy animal playing around in its natural habitat rather than in a tiny pool or cage. Never was a fan about this polar bear version of the Truman show. Knut’s passing made me sad. I’m tired of animals living and eventually dying just for pure entertainment sake. That bread looks so gorgeous! I’ve been hunting for vital wheat gluten flour in my neck of the woods. No luck so far but I wont cease nor desist. I’m determined to bake this bread! While I am totally against zoos, the whole concept of depriving animals of their natural habitat being so revolting, I would say, Knut was an exception. The stress is acute when an animal has been brought from the wild and kept in an enclosed space. But having been born in captivity, and being hand raised by a human, Knut was an exceptional case. I am not even sure if he would have been happy out in the wild, esp, considering the fact that when his interaction with humans was stopped, he was known to wail. Seaworld is monstrous in its atrocities so the lesser said about it, the better. I will have to try your other sandwich bread asap (don’t get wheat gluten here). Bread – Looks Fabulous!! I plan on making it this weekend, thank you. I am absolutely teary-eyed (again) as I write this note because it seemed that nobody cared when I told them of Knut’s death. Thank you so much for speaking-up about this seriously disgraceful treatment of animals. Within the last year, I read an article discussing how much of a financial struggle it was to feed Knut now that he was grown and no longer the ‘big attraction’. I am absolutely sickened by thoughts of what may have really caused his death. I’ve been to many countries and would never set foot in a zoo even though I was strongly encouraged to go to ‘help support the animals’ by paying an entrance fee. I knew I could not emotionally handle seeing the animals trapped, often enduring horrrible conditions, in any case stressed beyond natural limits. So, thank you again for acknowledging the passing of a magnificent creature with a name. Knut. I thoroughly agree with you about zoos, even the ones that look like have no cages. Feel bad about those places with dolphins after seeing a documentary from the man who first commercialized dolphin worlds, and then came to absolutely regret popularizing them. Yes, bread good. Look into Wheat Germ as an adjunct also. Richa, that sounds like the perfect way to watch these gorgeous creatures without destroying their lives. Nanda, yes, it’s tiring indeed. Hope you find the vital wheat gluten– some online retailers including Amazon do ship it. Samarpita, it is true that Knut was close to the man who raised him. But the zoo never intended to return him to the wild or give him a real life– had they wanted to, they could have weaned him away from human contact and prepared him for the wild. There are many stories about animals born in captivity being successfully released into the wild– offhand I can think of that lion cub bought by a couple at Harrodd’s, and there are many other instances. Also, Knut eventually did show aggression to humans in his later years, which proves he was never meant for this sort of life. Martina, Thank YOU. It makes me want to laugh and cry when zoos ask for money to “help the animals.” If they really wanted to, they’d just shut down. Anthony, I saw the Cove too, and it is a truly heartbreaking movie, especially that scene of the dolphin slaughter. Shameful what we are capable of. Zoos always make me cry. Wow…wat a wonderful selection of recipe..awesome..
first time here…amazed at your recipe collection.. I just found your blog and I am so excited! 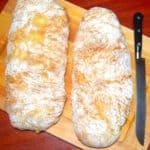 It seems like you have lots of valuable information to share and that bread recipe sounds good! I always have a moral dilemma about these things and hence I tend to generally not think about it, but the last point about not seeing a zoo and see Nat Geo really did drive the point home.. I appreciate the choices you have made.. I was planning to make the bread today….just one question…if i use rapid rise yeast do i need to punch down the dough and let it rise second time…..
Veeanoo, yes, you do need to let it rise a second time. Also, you might get less of a rise with the rapid rise yeast. I just made this bread and it is amazing! So light and fluffy! Just one question- what is the best way to slice the bread without squishing the pretty loaf? Any tips for making even slices? Thanks! Jen, Thanks for the feedback! I always use a serrated knife to slice this or any bread– it’s the best way to make even slices. And even if this bread squishes a bit when you’re cutting, it springs back when sliced. I myself feel very suffocated when I see animals forced to survive in the zoo against their will and wish. Issues that u often raise in your article(s) are of “A SENSE OF HUMANITY”, which I think is possessed by few blessed ones. Coming to the bread; where I had completely lost the hopes of getting wheat gluten, I did found very good quality of vital wheat gluten. So now its time for me to bake some really healthy stuff for my family. Once again thanks for your healthy and wonderful recipes, and drawing peoples attention to such sensitive issues. I baked it today and it was a 100% success, except that the loaves didnot have the golden colour on the sides. Also, how do one test tapping the bottom when the loaves are still in the hot oven and hot pan? I might sound stupid here. Hello!!! I love your website. 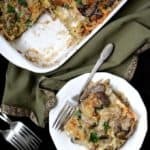 I have a question about the type of flour in the recipe. Is whole wheat BREAD flour the best to use? I am trying to learn and I did not know that there was a difference. Thanks so much!!! Dake, if you can find whole-wheat bread flour, then yes, use that. 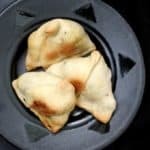 Hi Vaishali, I stumbled upon your blog when i was searching for sourdough pretzel recipe (which by the way turned out perfect!!). 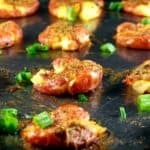 I was really intrigued when I saw this recipe. I’m not a vegan but am a very strict vegetarian and it’s hard to get enough protein in my diet without and eggs/meat…you can only eat so much lentils/beans. I followed your recipe to the dot but for some reason my bread did not rise much when i put it in the loaf (after the initial 2 rises). You said at that point it should have rised enough to form a nice dome over the loaf pan. I halved the recipe because its just me and my husband but when the bread was done it was about 1 1/2 inch high…did i do something wrong? I feel like the only thing i must’ve done wrong was let it rise the first time a little too long, about 3 hours. I did not use raipd rise yeast, if that helps. I am guessing you used the gluten? The gluten is imperative for the rise, since this is an all-whole-wheat dough. Another possibility could be bad yeast. What kind did you use? I like using active dry because you can tell if it’s alive before you add the rest of the ingredients, when you mix it in the warm water. 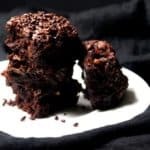 This has always been a fool-proof recipe for me and I make it at least once a month, so I am rather intrigued it didn’t rise for you. Thank you so much for the recipe! I was looking for a recipe for a high protein bread and this recipe is the perfect jumping off point. eg. substituting spelt or rye or quinoa flour, adding whole grains, flaxmeal The possibilities are almost endless! And yes, I do agree with you regarding zoos and aquariums. They mostly just make me sad… The Vancouver Aquarium has many very large tanks that exhibit local ecosystems as opposed to one kind of fish with plastic plants in a small tank. They help to convey the reality of community – how all organisms in an area are dependent on each other. There is also a floor dedicated to learning games for cildren – interaction of different species with each other, the influence of man on the aquatic environment and what each person can do to minimize it, etc. A good lesson to teach to people of all ages, no? How do you make your whole wheat sourdough starter? I didn’t see it…did I miss it? Hi John, I did start one but the whole wheat would just not take, for some reason, so I ended up adding AP flour to it. I do want to try again — there are recipes on the internet for WW starters– but haven’t had the time. MY PERSPECTIVE TOWARDS ANIMALS KEPT IN ZOO AND THE CONCEPT OF HAVING ZOOS AT ALL HAS BEEN COMPLETELY CHANGED. M TRYING TO INCULCATE THE SAME THOUGHTS IN MY KIDS AND FOR THAT I HAVE TO TAKE THEM TO THE ZOO, AND MAKE THEM FEEL THE HARSHNESS OF CAPTIVITY AND LONELINESS; SO THAT THEY CAN FURTHER PASS ON THE SAME TO THEIR FRIENDS. ITS GOOD TO KNOW THAT THERE ARE PEOPLE LIKE YOU WITH SUCH A HUMAN PERSPECTIVE SPREADING THE GODLY MESSAGE GLOBALLY. IN WHAT WAY IS ATTA DIFFERENT FROM THE REGULAR WHEAT FLOUR, COZ I HAVE BEEN USING ATTA IN MY EVERY WHOLE WHEAT BAKING? ALSO, DOES THE RATIO OF YEAST TO FLOUR DEPENDS AND VARIES AS PER THE TYPE OF FLOUR USED? Hi Nisha, how lovely that you are teaching your children compassion to animals– kudos to you. About your question, atta is made with a lighter wheat and produces an airier texture in breads than regular whole wheat flour available here in the United States. You can substitute atta in any recipe that calls for whole wheat flour. As for yeast and flour, you could use less yeast if you have more time on hand and can allow for a slower rise, or if you’re using another rising agent, like sourdough. I BAKED AS LOAVES THEM WEEK BACK AND THEY TURNED OUT FANTASTIC. YESTERDAY I TOOK THE SAME RECIPE AND SHAPED THEM IN HOT DOG ROLLS AND BUNS, AND SKIPPED ON THE SECOND RISE, AND YOU WHAT THEY CAME OUT EXTREMELY GORGEOUS. SOFT AND DELICIOUS FOR SURE. THANKS ONCE AGAIN FOR UR RECIPES……………..
Hi Nisha, so glad you liked this– and great idea to bake them as hot dog rolls. I have not been able to get VWG inspire of an extensive search both in India and Singapore. 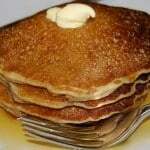 Will hi-protein flour help in combination with any other flour? Please help. Hi! Do you know if its possible to make this in a bread machine? I haven’t made it in the machine but it should be fine. 4. to 1 1/2 cups of whole-wheat flour (add more flour if the dough’s still sticky). Some of the recipes got scrambled when I moved to a different recipe plugin — most of them have now been fixed, including this one. 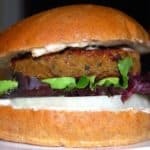 Recipe question – First, this looks like an awesome recipe! I can’t wait to make it. 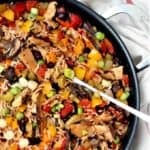 Question, what can I use to substitute soy milk (if anything)? I can’t use a nut milk, as my daughter’s school is nut-free. Thank you!!! Any nondairy milk is fine!